OnStar might sound like a science fiction book, but it’s actually Vauxhall’s new connectivity service. It’s being introduced to the UK at the same time as the new Vauxhall Astra, but it will soon be rolled out to other models including the Insignia. Here’s a brief guide to its features. In essence, OnStar connects an enabled car to the web via mobile data and GPS, which isn’t all that unusual in cars these days. 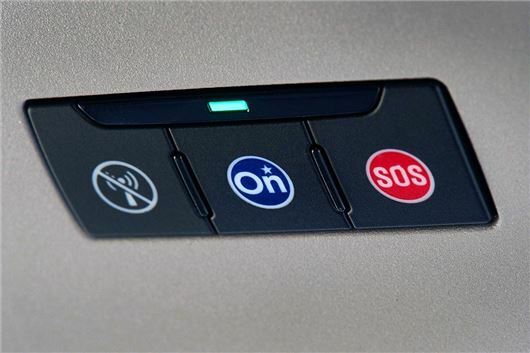 But OnStar unlocks a very powerful suite of features, ranging from in-car WiFi to automatic emergency assistance. Cars with OnStar have a button in the cabin which automatically connects the driver to someone from Vauxhall, based in the UK. The person at the other end of the line has access to all kinds of information and can even control functions of the car, which can be incredibly useful whether for convenience or in an emergency. For example, should the driver be lost in an unfamiliar town and low on fuel, they can press the OnStar button. The person at the other end of the line will then be able to see where the car is and will be able to send the location of a nearby petrol station directly to the in-car GPS system. Onstar can also be used to shut functions down – so if a car is stolen it can be tracked and even disabled, meaning the thief can’t take the car away. Sensors will also detect an accident and can contact OnStar automatically, with information on which crash sensors were triggered, which airbags deployed and how many occupants were in the car. The OnStar operative can then speak to the occupants of the car and ascertain how injured they are. They can also relay essential info to emergency services directly – including location, which is obviously important if the occupants are unconscious following an accident and need immediate help. OnStar also provides some added convenience – owners can link their car up to their mobile phone via an app, so information on fuel levels or service schedules is available remotely. The driver can also set the horn or lights off remotely to find the car in a busy car park – or even to unlock or lock the doors. Another handy feature is built-in WiFi, which uses 4G connectivity to provide web access to as many as seven devices. For keeping bored kids occupied on a long journey it’s a very handy function, since most tablet PCs don’t have 3G/4G connectivity, just WiFi. Vauxhall can only see your location and data when you get in touch, so those with privacy fears can rest easy – but for added peace of mind there is a button in the cabin which masks your GPS signal permanently, even when you are in contact with someone from OnStar. An OnStar subscription is free for the first year or £79 annually afterwards, which isn’t a huge amount considering the functionality it offers. For those who cover huge annual distances and more or less live out of their car, OnStar will be a fantastic extra, but for simple commuting and shopping trips it’s probably not all that useful. It will probably be a popular option for fleet operators too, since it unlocks telematics functionality essential to large fleets. But whether you decide to specify it or not, there is no denying it’s an impressive technology that gives a glimpse into the future of motoring.